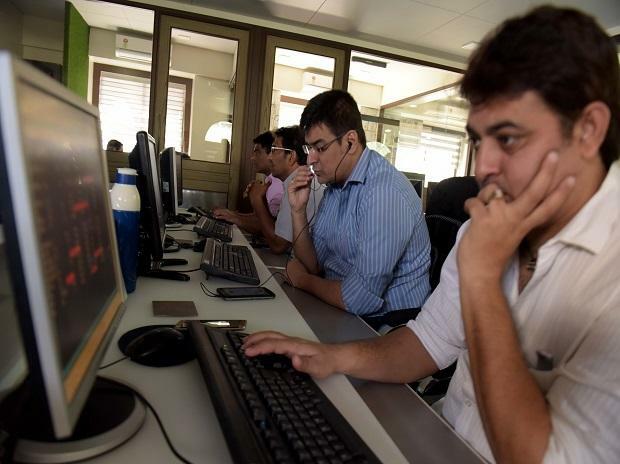 Global cues, stock-specific action and macro data are among the key factors that are likely to steer indices on Tuesday. In addition, geopolitical tensions between India and Pakistan will also be closely watched. At 07:58 am, Nifty futures on the Singapore Exchange (SGX) were trading 15.50 points or 0.14 per cent lower at 10,832, indicating a sudued start for the Nifty50 index back home. Reliance Industries (RIL): Reliance Industrial Investments and Holdings (RIIHL), an arm of RIL, has agreed to acquire 82-83 per cent stake in two companies, Grab A Grub Services and C-Square Info Solutions. Jet Airways: The crisis-hit Jet Airways on Monday grounded another two aircraft due to non-payment issue making its 20 per cent fleet non-operational. Coal India: Coal India (CIL) supplied 440.80 million tonne (mt) coal to power plants between April and February this financial year — a 7.1 per cent increase over the same period a year ago. Karnataka Bank: Private sector Karnataka Bank Monday said the RBI has slapped a fine of Rs 4 crore on the bank for violating regulatory norms. Ashok Leyland, Tata Motors and Bharat Forge: According to news reports, CLSA has retained 'sell' rating on the three auto companies as it sees rising probability of a downturn in the truck industry. Union Bank: The lender is looking to raise about Rs 470 crore via Employee Stock Purchase Scheme (ESPS). The issue is likely to be open on March 5, said a report by The Economic Times. L&T, Mindtree: Larsen & Toubro Infotech Ltd. and Baring Private Equity Asia are the leading bidders for a major stake in Mindtree, as the Indian tech services and consulting firm’s largest shareholder seeks to sell his holding, Bloomberg reported. Aurobindo Pharma: The company said Saturday it has completed the acquisition of seven marketed oncology injectable products, intellectual property and commercial infrastructure from Spectrum Pharmaceuticals Inc, a US-based global branded oncology company by Acrotech Biopharma. India Hume Pipe: The company has received three Letters of Intent (LoI) for works aggregating to Rs 187.06 crore from Vidarbha Irrigation Development Corporation (VIDC), Nagpur, in Maharashtra. Central Bank: The lender has put up for sale four stressed accounts, including Bhushan Power & Steel and Essar Steel India, to recover dues of Rs 3,321 crore. Quick Heal: The company's board is likely to meet today to consider a proposal for buy-back of the fully paid up equity shares of the firm.